There is a difference between a “global warming denier” versus a “global warming skeptic”. The deniers are those who have been conducting brain-washing campaigns to lobby Congress and citizens into believing global warming is either not occurring or, if it is occurring (it most definitely is) that it is not caused by human actions because earth’s climate has always been changing (never as fast before like it is now). 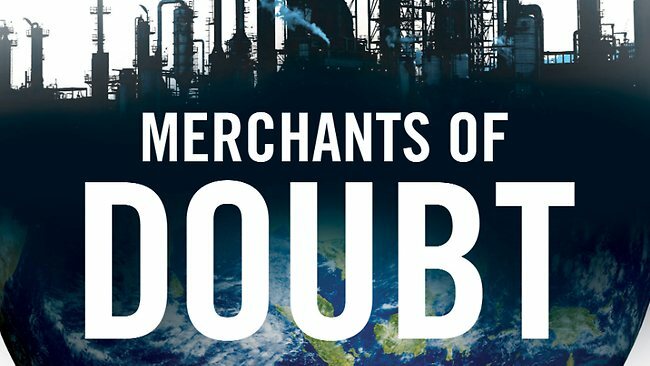 In the new documentary Merchants of Doubt, filmmaker Robert Kenner (of Food, Inc.) shows how professional climate-change deniers like Marc Morano profit by making that desired belief an easy one simply by cultivating uncertainty. “I’m not a scientist, but I play one on TV,” he says in the film, referring to his appearances on cable news shows as a talking head. There he “debates” scientists, often on Fox News, as a form of pandering to viewers who want to believe that legitimate people will tell them what they want to hear. He traffics in doubt, he admits in the film. That is all it takes to lead to legislative inaction: Let everyone keep burning fossil fuels until there is more evidence that this is a bad thing. Even though there is abundant evidence; more than there is for most things we do to protect and preserve our health and general continued existence. BY JAMES HAMBLIN MAR 20, 2015 – posted in “The Atlantic.com”.